Our homepage features the widest selection of fully furnished accomodations in and around Munich. We help you find a suitable offer quickly and easily for any term from 3 months. 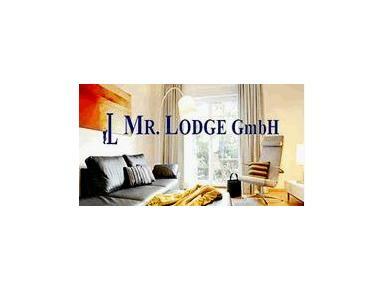 Mr. Lodge GmbH was founded in 1993 and since 1996 is THE specialist in the greater Munich area for furnished apartments and houses. We offer an extensive range of good to luxuriously furnished apartments and houses in the best parts of Munich and it's suburbs. A good alternative to staying in a hotel in Munich for a longer period. Our team is made up of more than 25 members, who every year deal with more than 5.000 clients from over 2.000 companies and institutions who are looking for accomodation. This year(2008) alone we have arranged more than 3.000 lets with a total living area of over 125.000 square meters, making us the largest company of this kind in Germany. We measure ourselves against the highest international standards and utilise the latest innovations to optimise our customer service. Since 1997 it has been possible for our clients to view all our apartments and houses efficiently online, through photos and videos. We hope that we can also assist you in your search for suitable accomodation and would be pleased to hear any comments or critisism you may have in order to make our service even better in the future.